What is the Professional Standard of Care? The common law standard of care for performance of design professional (DP) services is generally defined as the ordinary and reasonable care usually exercised by one in that profession, on the same type of project, at the same time and in the same place, under similar circumstances and conditions. Perfect performance is not required by the common law. Kent Holland’s paper on professional standard of care is included here. Details include sample contract language. 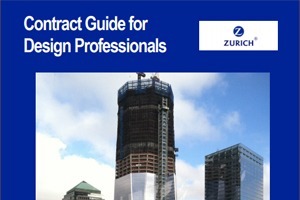 This chapter was originally published in Risk Management & Contract Guide for Design Professionals, (c) 2006 & 2014; a/e ProNet and J. Kent Holland Jr.